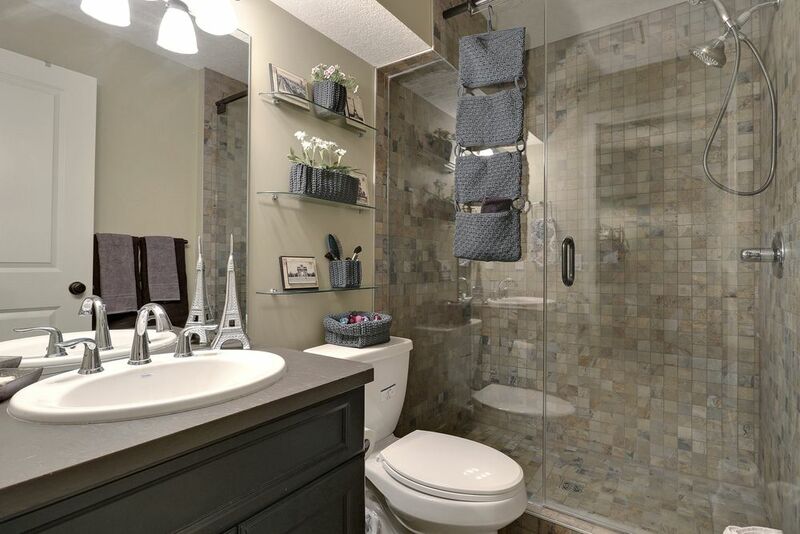 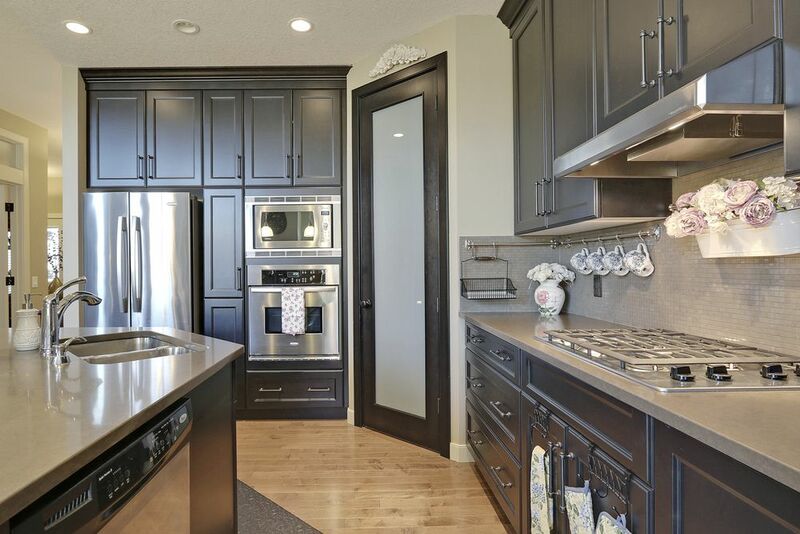 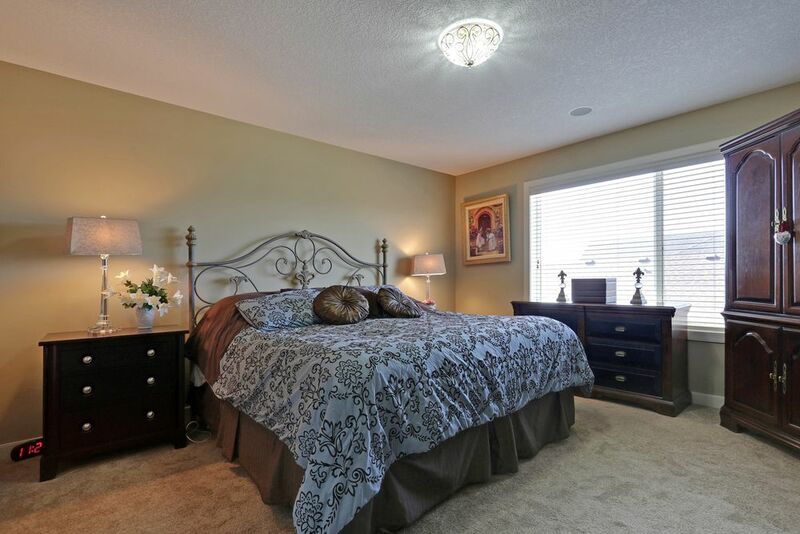 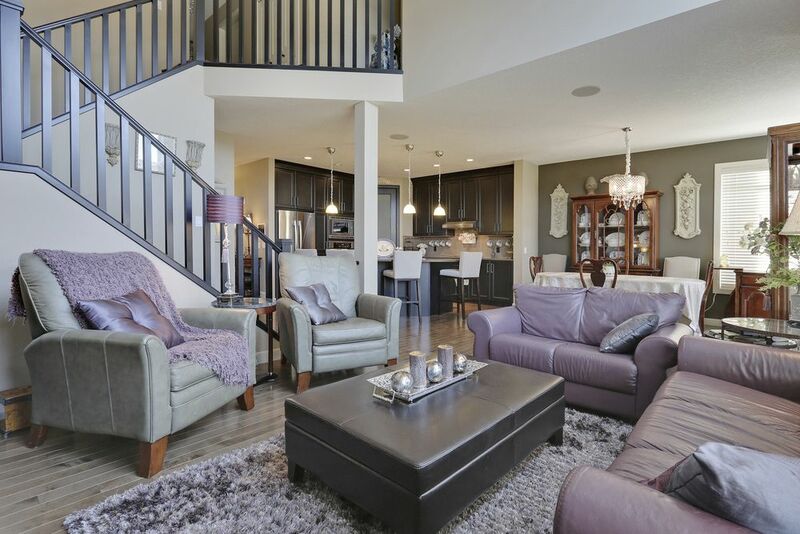 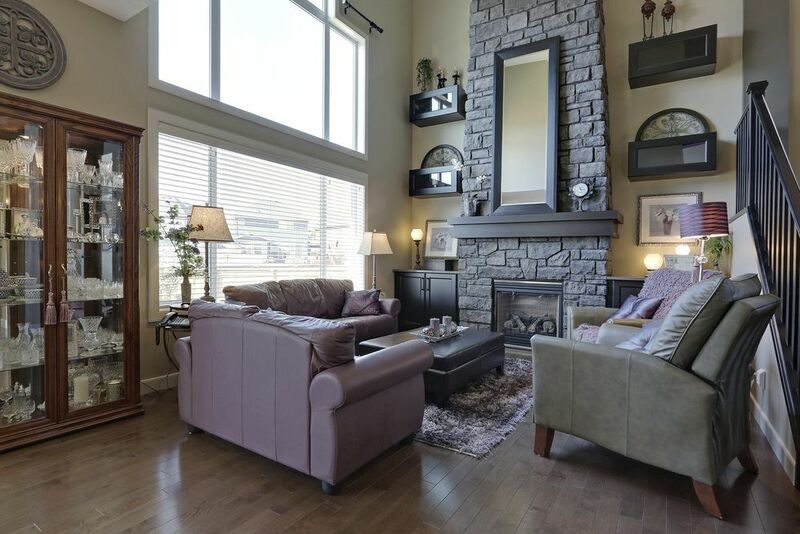 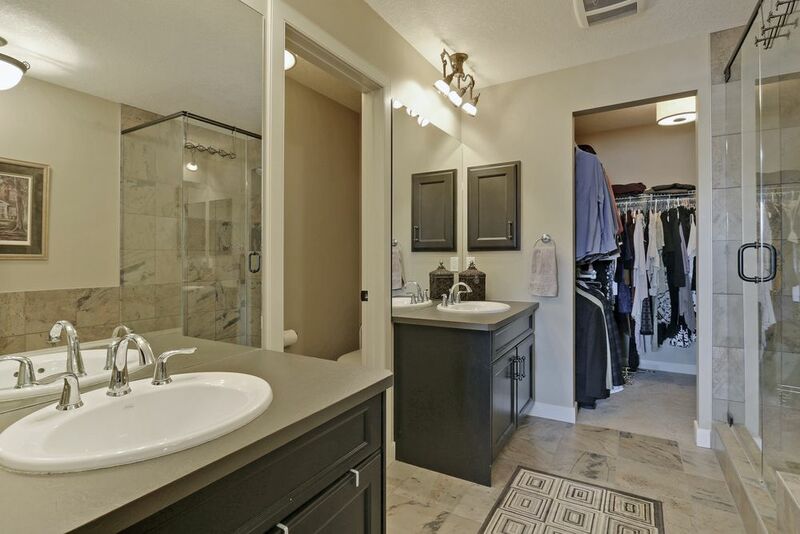 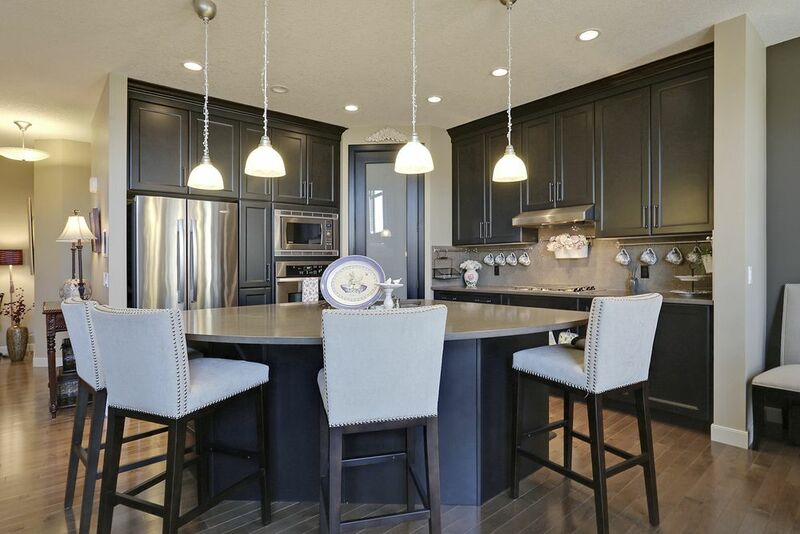 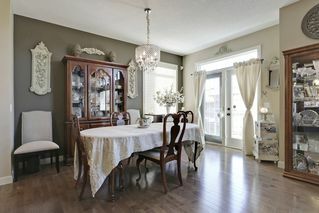 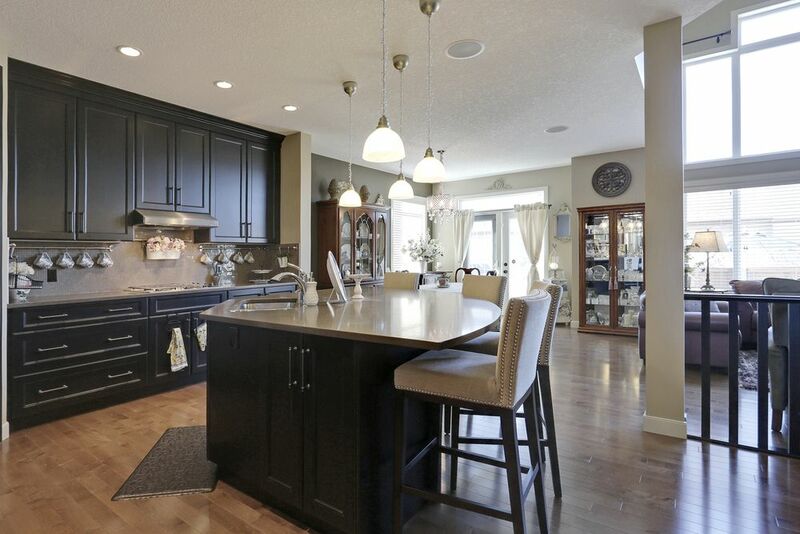 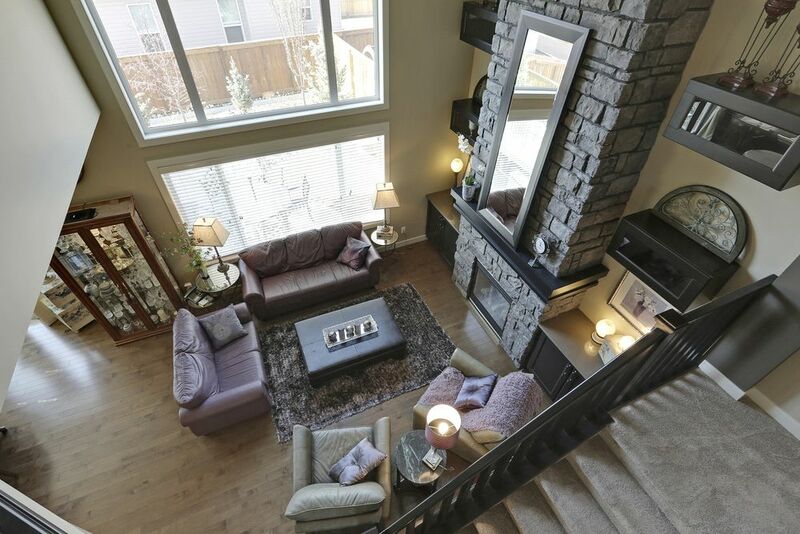 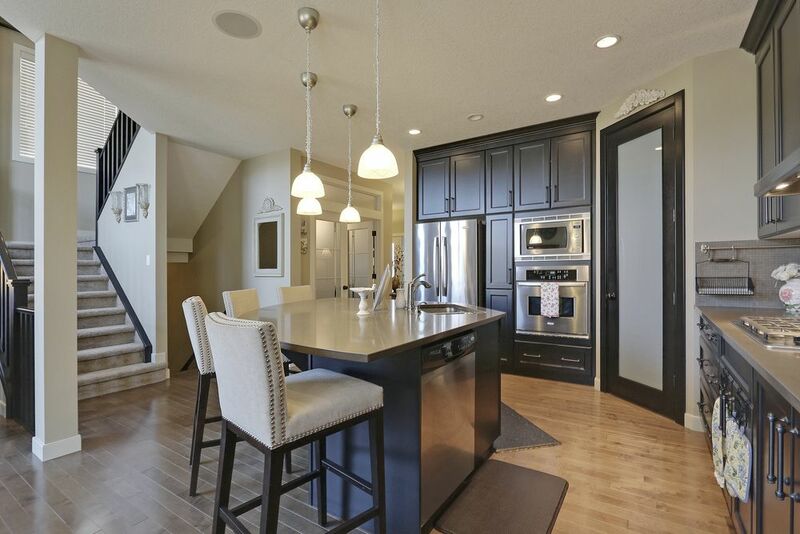 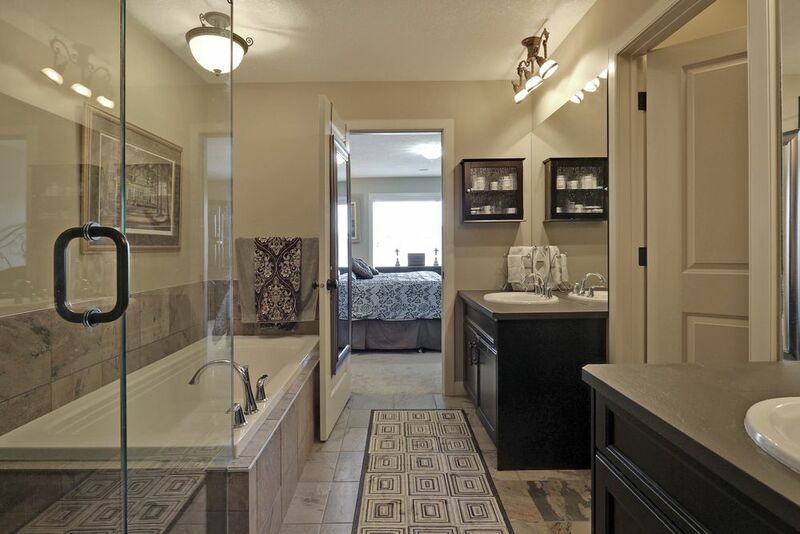 A former show home w/ tons of designer extras makes this Cranston home a must see! The 2269 ft innovative floor plan enables the home to seem far bigger than it is giving each area a distinct function. The flex room near the front door makes an ideal home office. 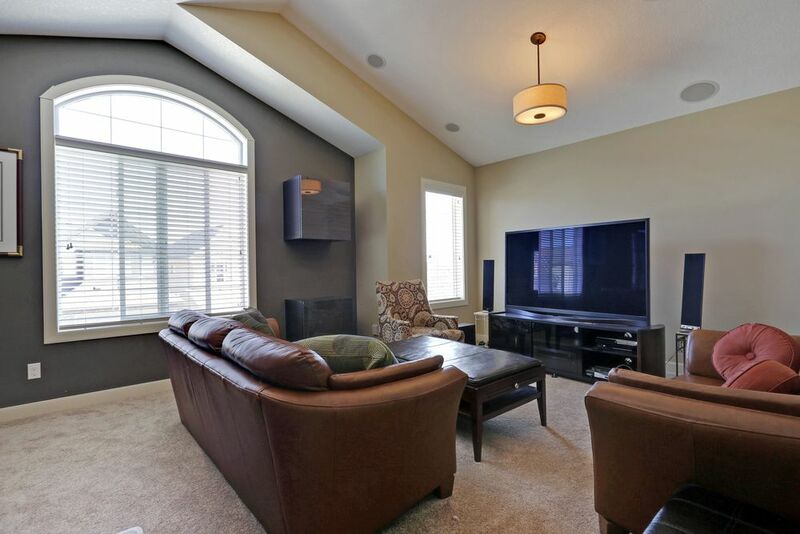 The large bonus room upstairs is wired w/ surround sound for the perfect big screen experience. 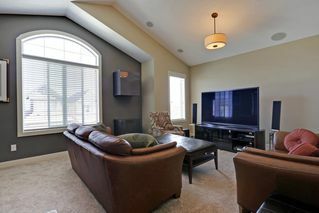 The privacy of the bonus room allows guests on the main floor to be undisturbed as they enjoy the one of a kind 18 ft. stone fireplace in the great room. 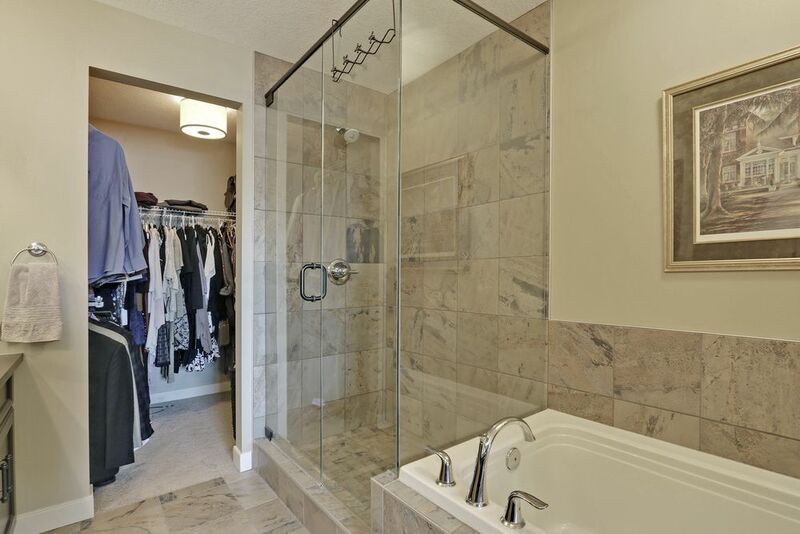 This room flows freely w/ the state of the art kitchen & over-sized quartz island. 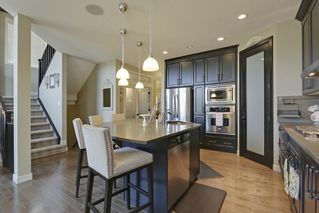 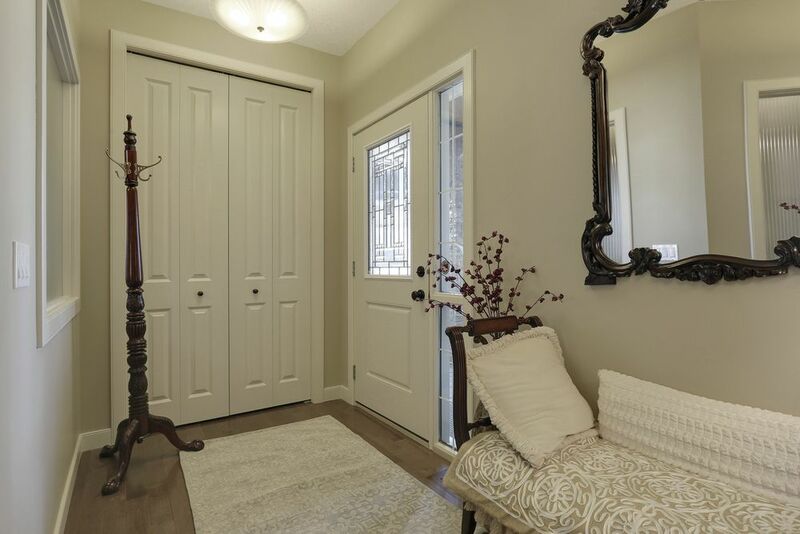 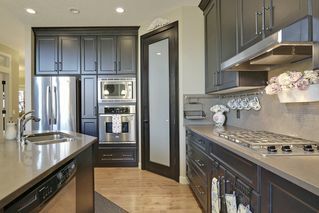 Boasting beautiful floor to ceiling cabinetry, gas cooktop, wall oven and walk through pantry. 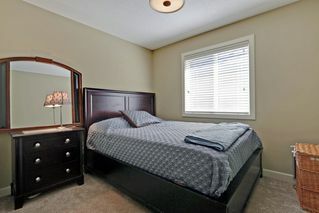 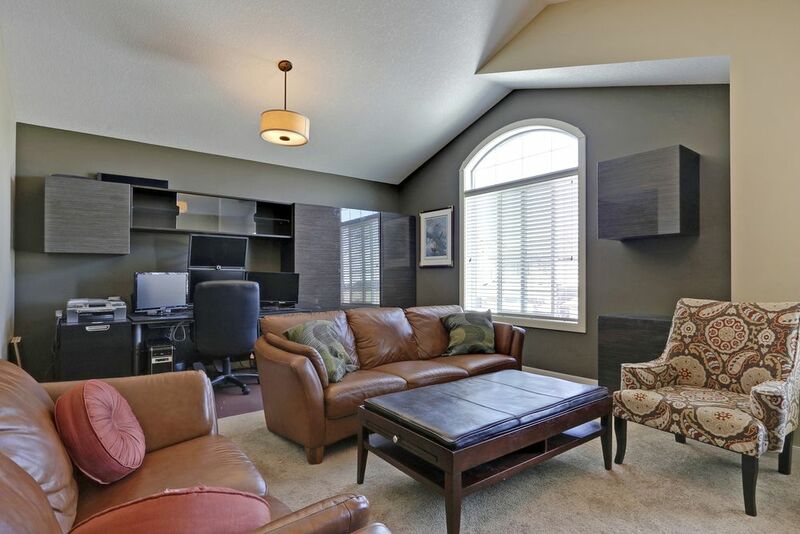 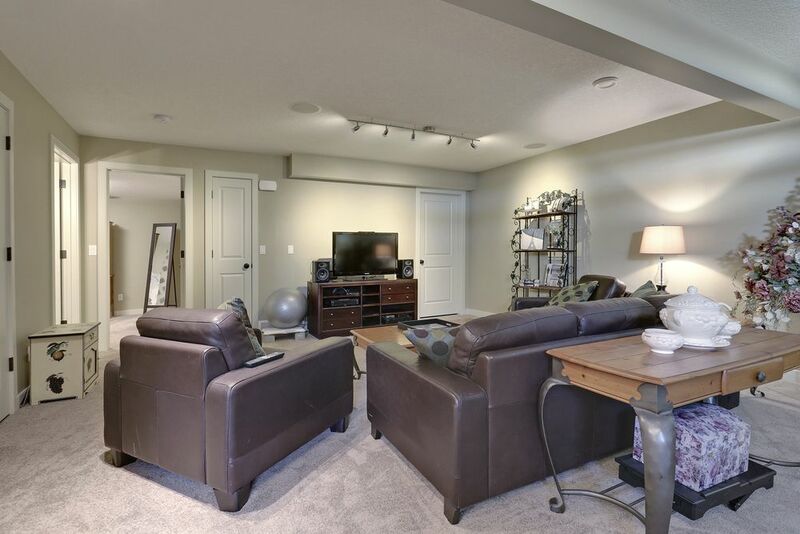 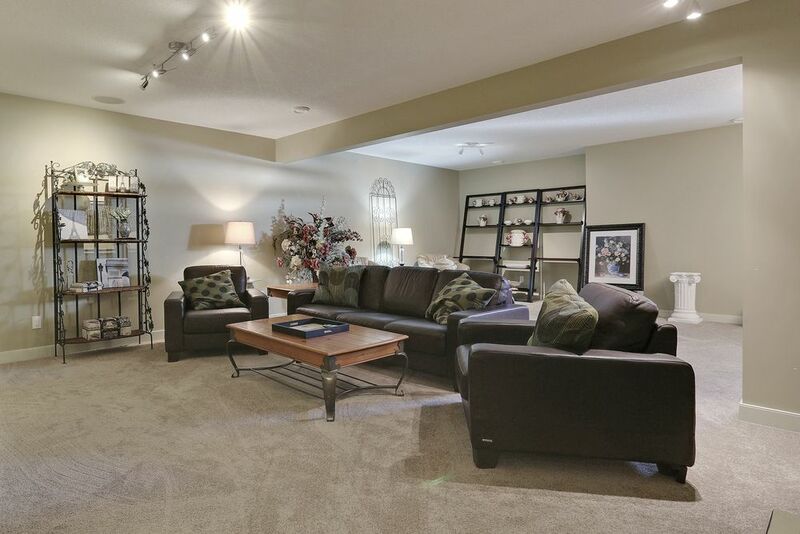 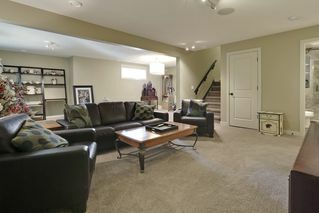 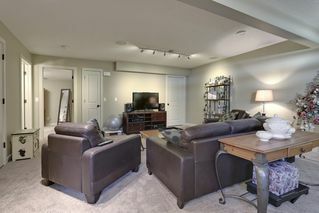 The professionally finished basement features a games area, large TV, viewing space, a separate bedroom & 3 pc bathroom. 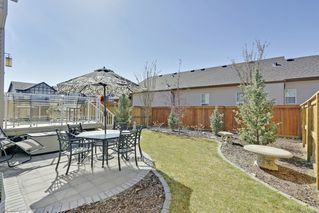 With a total of 4 bedrooms, 4 bathrooms & 3 distinctive entertaining areas, this home is well suited to growing families. 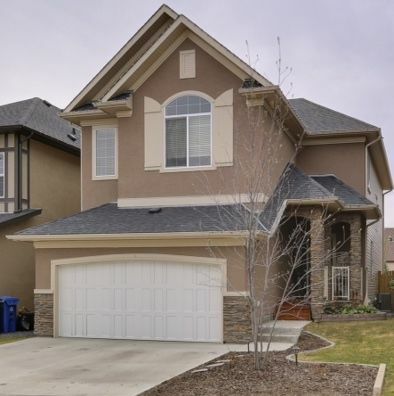 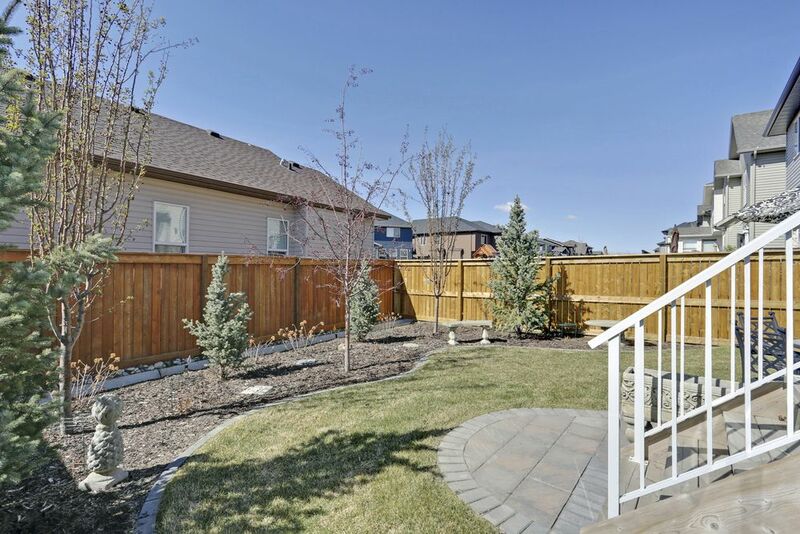 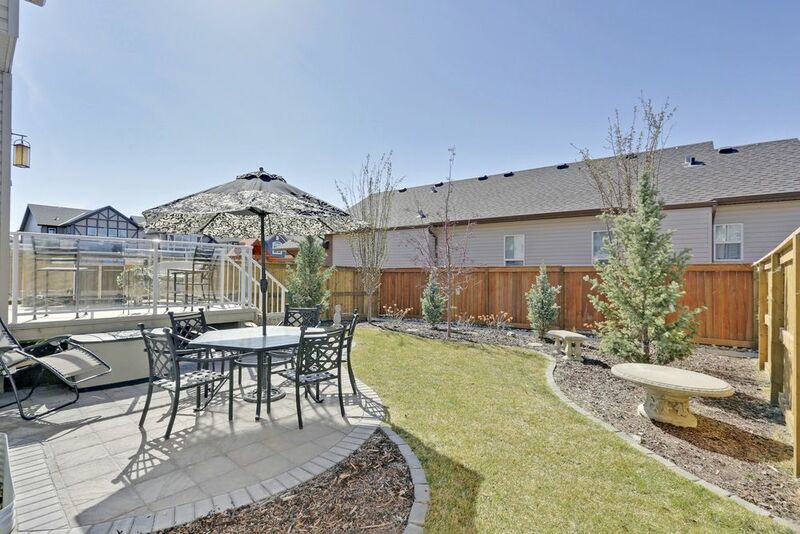 Other extras include a piped in heating system for the garage, built in vacuum, professional low maintenance landscaping with underground sprinkler, blooming trees and shrubs, natural gas outlet & a large curved stone patio. 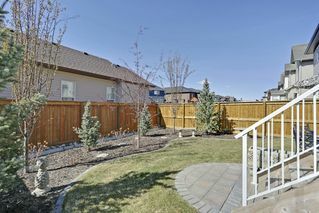 The south facing backyard is newly fenced w/ 2 gates. Functions of the home include climate control, air-conditioning, security system, Sonos player & speakers controlled from the Apple iPad (included). The exceptional value of this quality home should not be missed!